Make sure you register before beginning to search for materials! 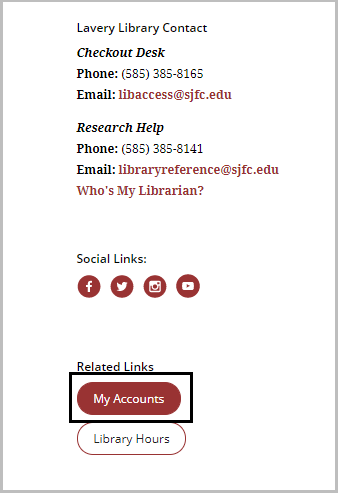 From the library homepage (www.sjfc.edu/library), scroll down and click on My Accounts on the left-hand side. 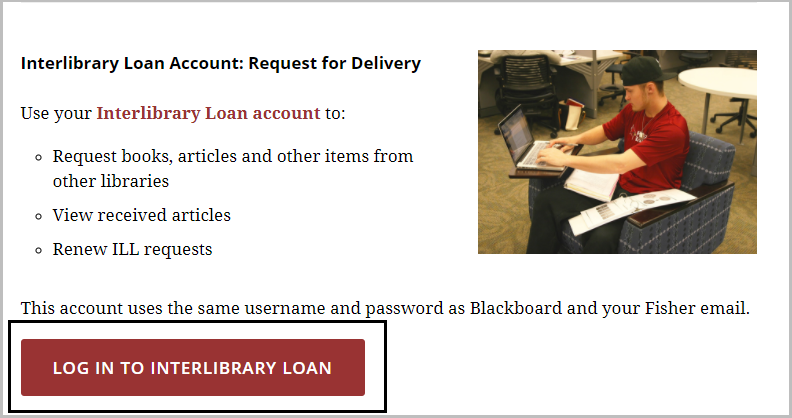 Click on "Log in to Interlibrary Loan" to go to your ILL Account. Fill out your account information and submit. Be sure to pick the status that best matches you as this will assist the ILL department in serving you quickly and accurately. Are you an online student or a student through Iona or Onondaga Community College? 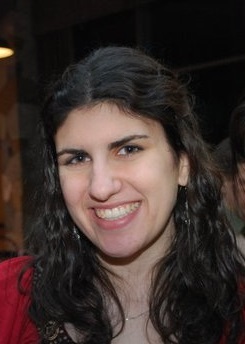 Click here to see your ILL guide!